Scrolling Lyrics for the Gigging Musician! 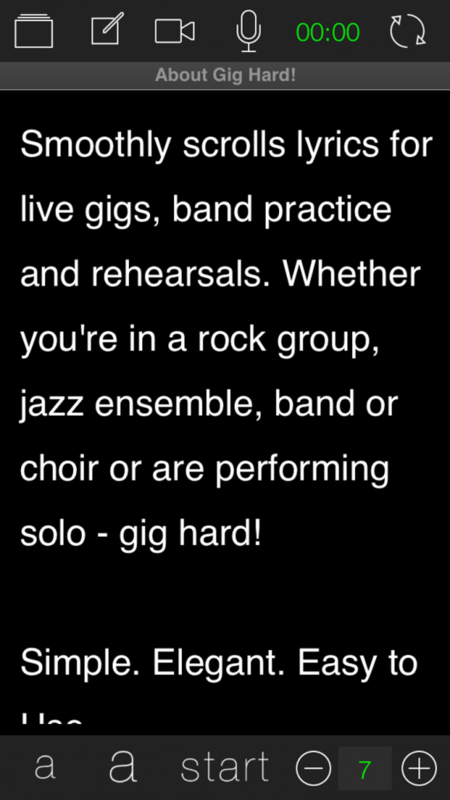 Gig Hard! 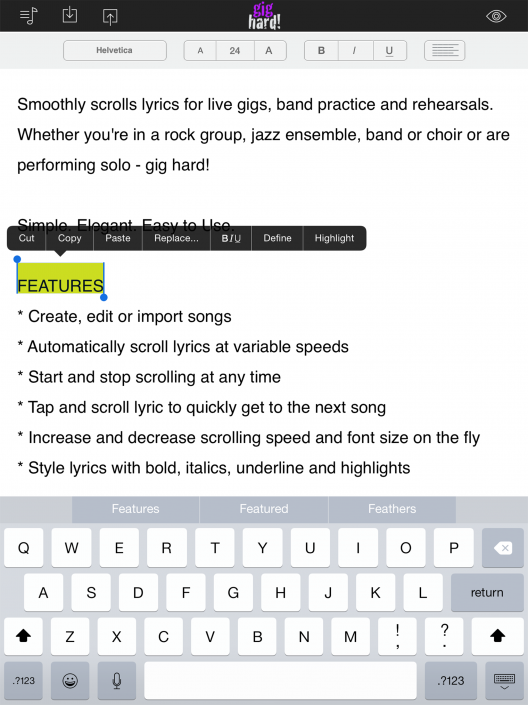 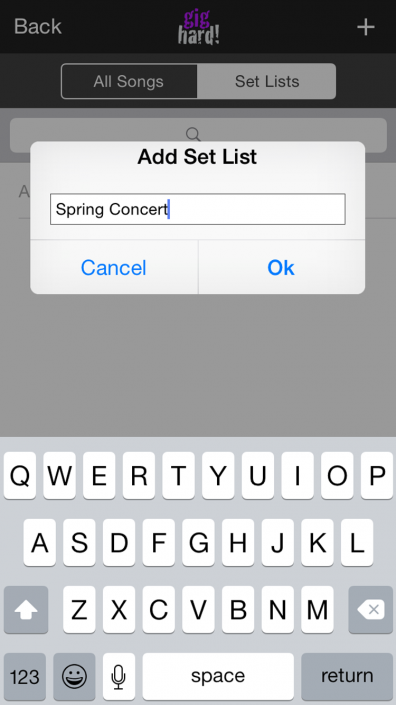 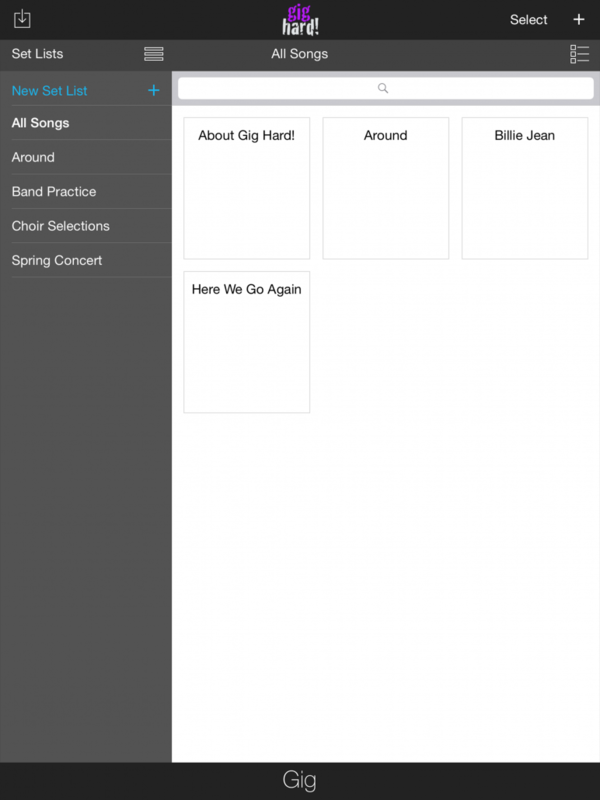 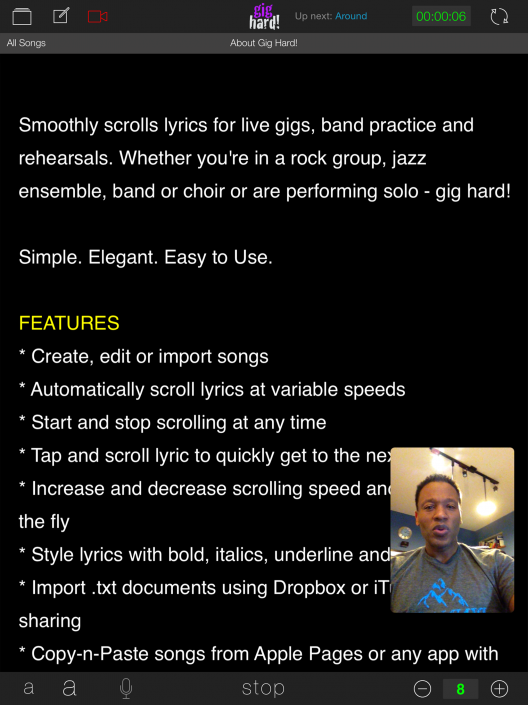 smoothly scrolls lyrics or notation for live music gigs, band practice or rehearsals. 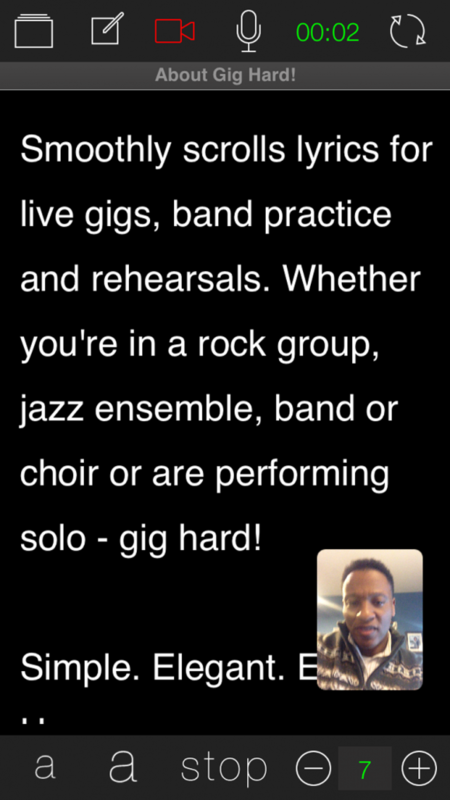 Whether you’re in a rock group, jazz ensemble, band or choir or are performing solo – you need to Gig hard! 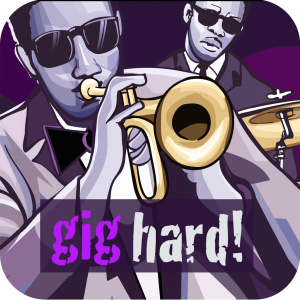 Capture your performance, play it back and share it with Gig It Pro. Need Help with Gig Hard?